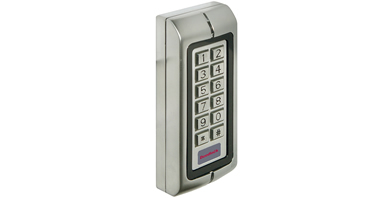 Proteco RT35 Keypad (stainless steel case) - 60 memory codes with 1A & 5A output relays. 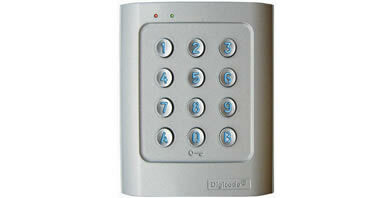 Proteco RT36 Polycarbonate keypad - Weatherproof digipad with 60 memory codes, 1A & 5A output relays. 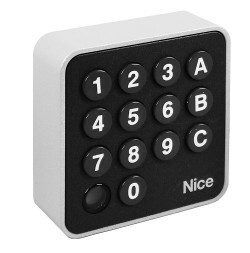 Farfisa FC32P Keypad. 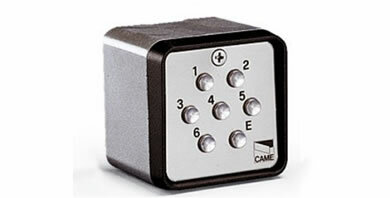 Flush mounted with two relays for operating gates and doors. 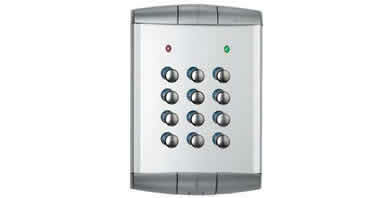 Anti-vandal stainless steel finish. 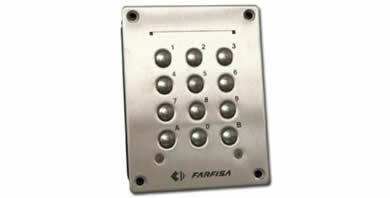 Flush mounted Farisa keypad. 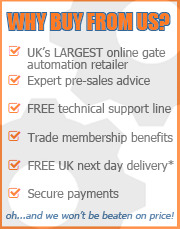 Front panel in anodised aluminium and buttons in stainless steel. 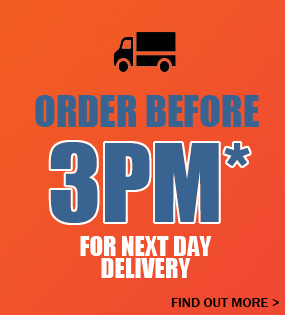 For use outside or inside. 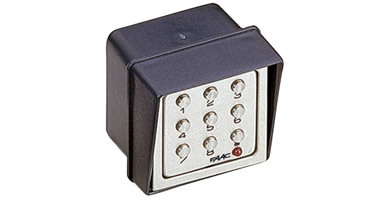 The K44 Keypad by FAAC will allow you secure easy access in or out of your property. 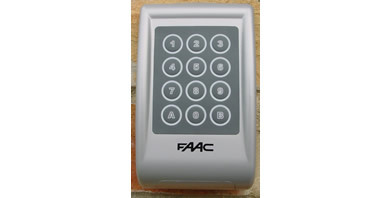 The 868 Radio Keypad by FAAC will allow you secure easy access in or out of your property. 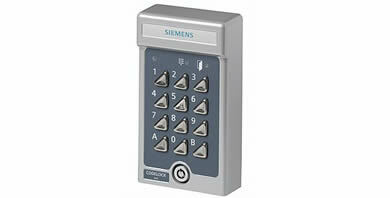 The FAAC Controller with Keypad and decoding facility for secure easy access in or out of your property. 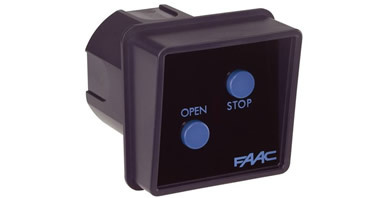 The Control Push-Button Keypad by FAAC is a switch which will allow you easy access in or out of your property. 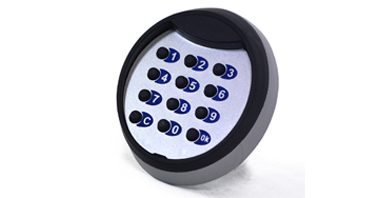 The Came S9000 surface mounted wireless radio keypad with 433.92 MHz battery. 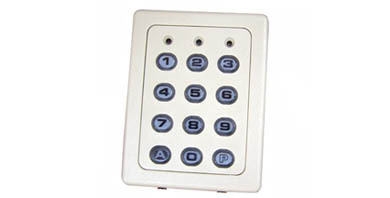 Came surface mounted S7001 keypad with one-channel card. 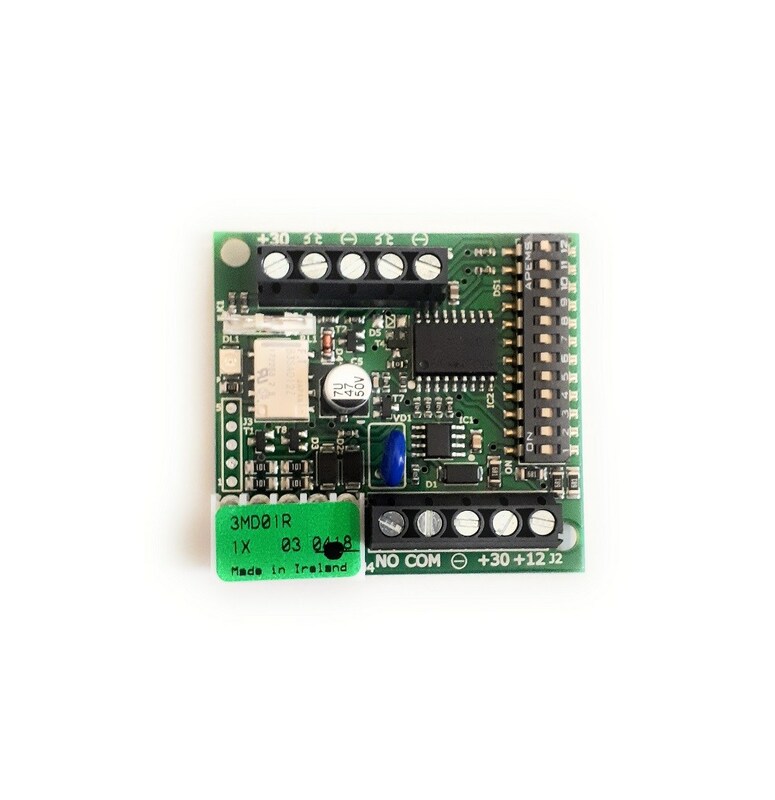 Came S0004N 4-Channel Card with optional radio control over single channel. 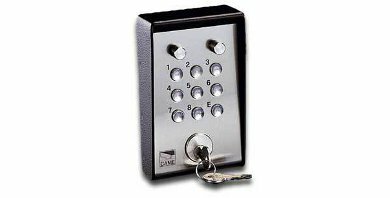 The Came S6001 flush mounted wired keypad. 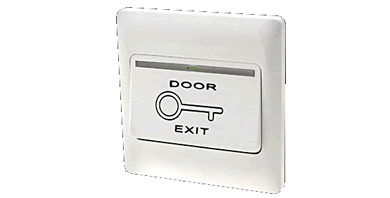 The Came S6000 flush mounted wired keypad. 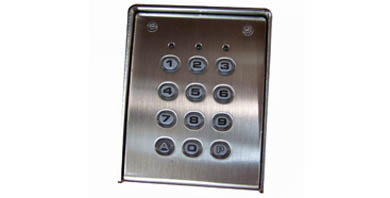 Came S5000 surface-mounted keypad (galvanised and painted steel) - Up to 16 million combinATIons. 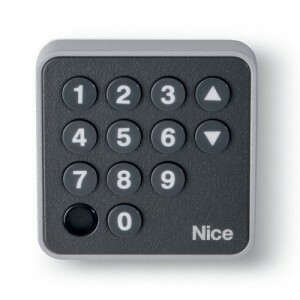 The APX 16 heavy duty keypad combines rugged build, extreme protection (weatherproof) and easy installation. 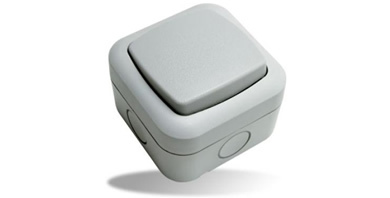 There is also a proximity card reader option. DS Decoder for Metal Digikey. 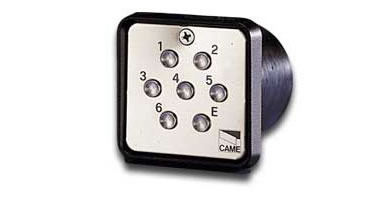 Outdoor IP54 rated single gang wired push retractable button ideal for gate release. 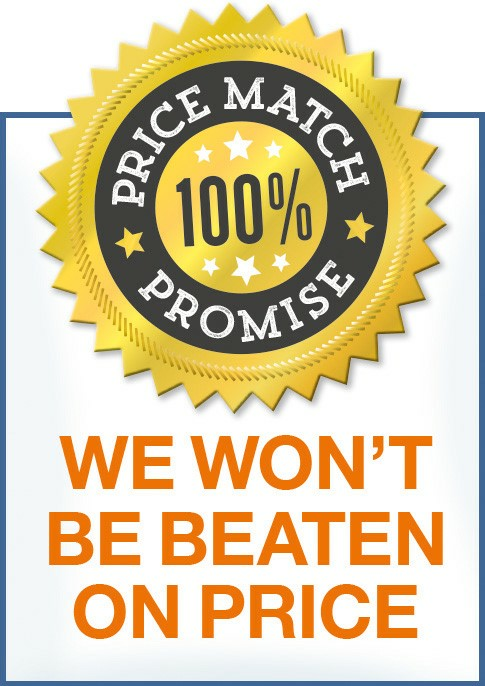 Wireless wall switch compatible with selected brands including BFT, NICE, BENINCA, DEA, ERREKA, GBD, FOX, FAAC, MUTAN CODE, APRIMATIC, FORESSE, PROTECO, DITEC, MOTORLINE, PRASTEL, KIGATE, CAME, KEY, TANGO, LIFTMASTER. 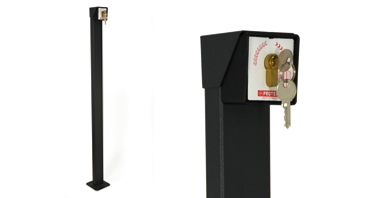 The RS10 is a 110cm high support post for the RS16 Proteco keyswitch, ergonomically designed for drivers and pedestrians.